In an otherwise nicely shot IPDA club match yesterday I had 4 mikes. I was very pleased with everything else. In analyzing what went wrong I figured out that 3 of the misses were right before a reload. I have 11 rounds loaded in my magazine (= SSP division capacity). Analyzing each stage, it's pretty clear what happened. I shoot my 10th shot and it's on target (a zero or one), then the last shot locks the slide back but misses the target left and high. I'm not following through on the shot before my thumb goes for the magazine release and the muzzle of the gun lifts and fades left as I position it for the reload. 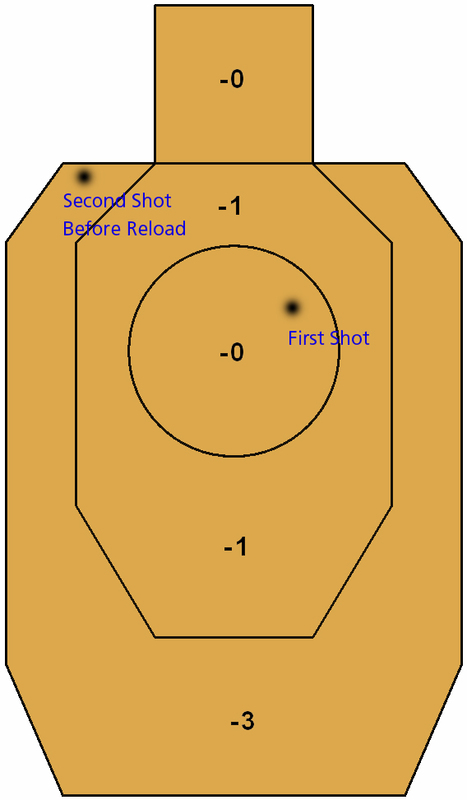 Working on a fast reload, I'm forgetting to concentrate on that shot right beforehand. Definitely something to work on in the weeks to come.